Manchester United can beat Arsenal if Jose Mourinho’s side go toe-to-toe with the north London side, Tim Sherwood insists. The Red Devils need three points from their trip to the Emirates Stadium on Saturday evening given their eight-point deficit in the Premier League title race. Manchester United were criticised for adopting a negative approach in a goalless draw with Liverpool FC at Anfield back in October. The Red Devils went on to lose 2-1 to Huddersfield Town before Manchester United struggled to find their attacking verve in a 1-0 win against title rivals Tottenham Hotspur. The 20-time English champions produced a decent opening 20 minutes at the defending champions at the end of October before Alvaro Morata capped a strong Chelsea showing with a 55th-minute winner to seal a 1-0 win over Manchester United. Mourinho’s side have won their last three Premier League games to ensure the deficit remains at eight points over the past fortnight or so. However, the Red Devils will make the long trip to Arsenal on Saturday evening in search of three crucial points. And ex-Spurs boss Sherwood believes Mourinho has sufficient attacking options to outfire Arsenal at The Emirates despite his tendency to adopt a pragmatic approach. “Jose can win playing pragmatic. He knows how to do that. He doesn’t care what people think,” Sherwood told Sky Sports. 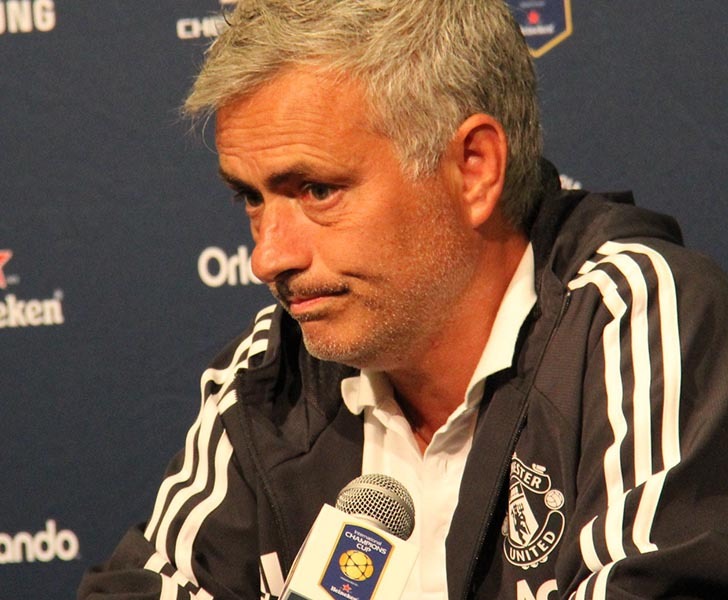 “The pressure on Jose is the team down the road playing expansive football doing it. We want to see them go toe-to-toe with Arsenal. Arsenal won’t take a backward step. Wenger will go on the front foot and take on Man United. Arsenal have beaten Manchester United in their last two Premier League meetings at The Emirates.